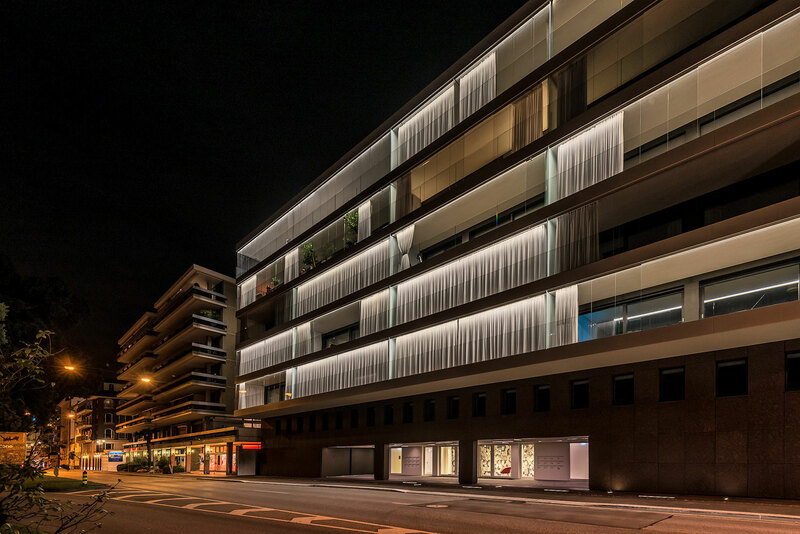 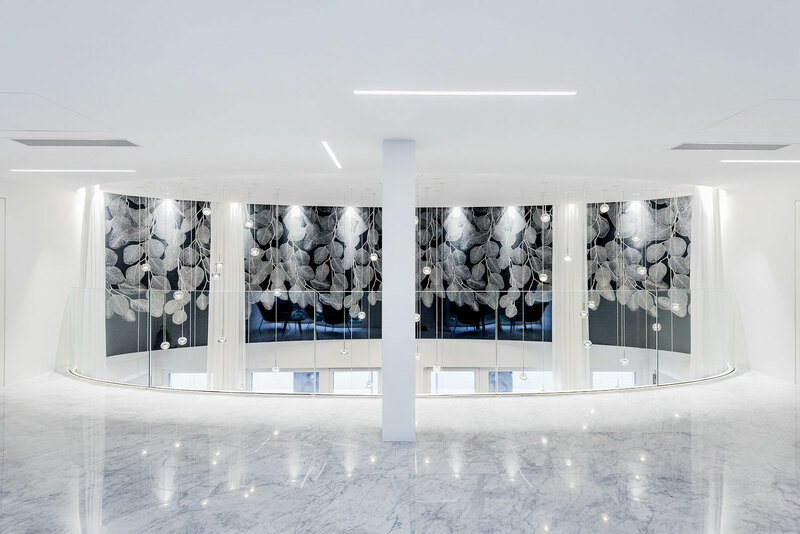 The Riva Caccia Building, in Lugano, is a modern and dynamic structure that overlooks the lakefront of Lugano in all its elegance. 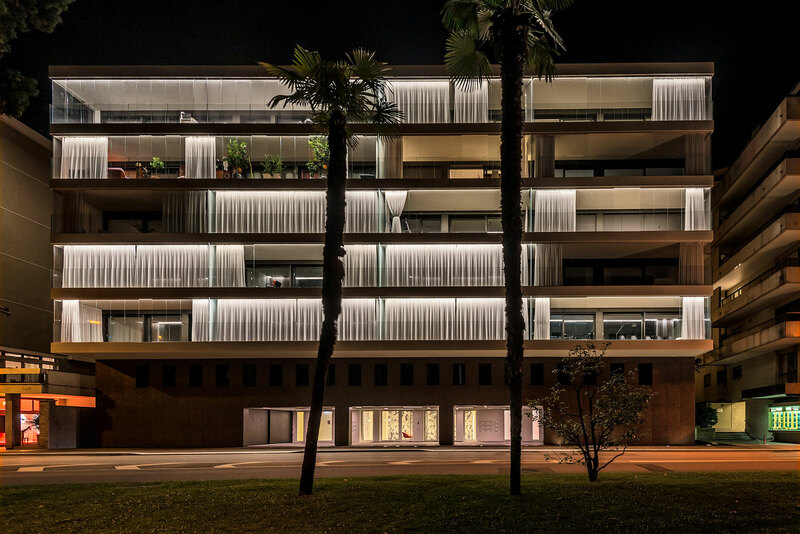 At night, in order to preserve its character, a proper lighting has been studied in such a way as to respect the recurring linearity of its architecture and confer a complementary image to the one that is visible during the day. 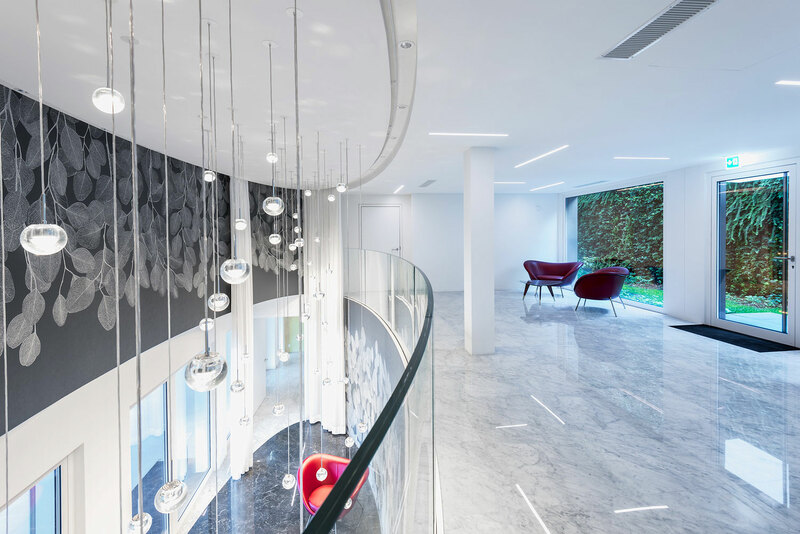 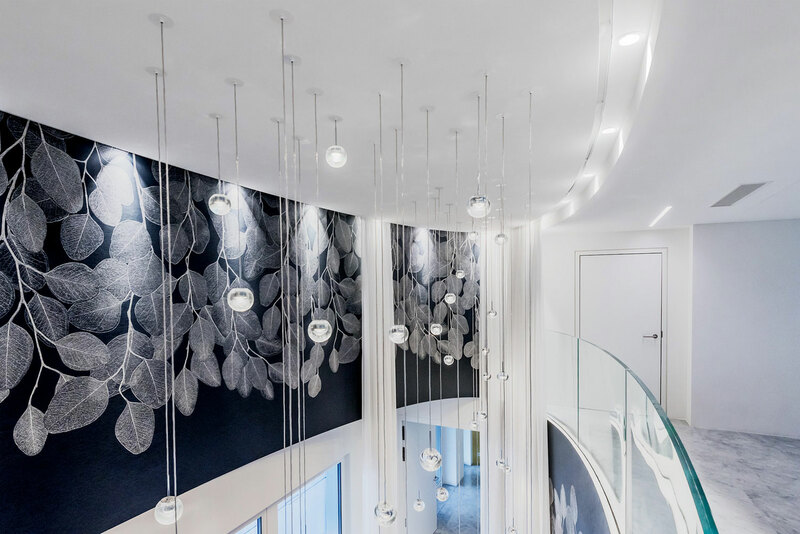 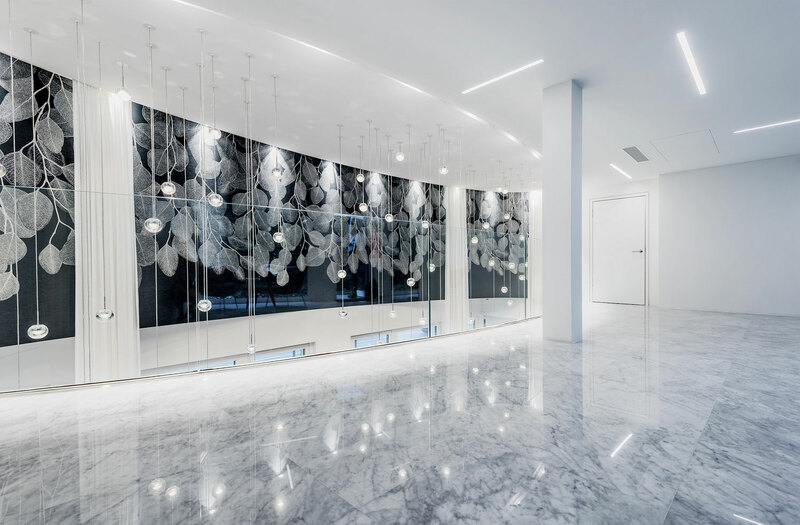 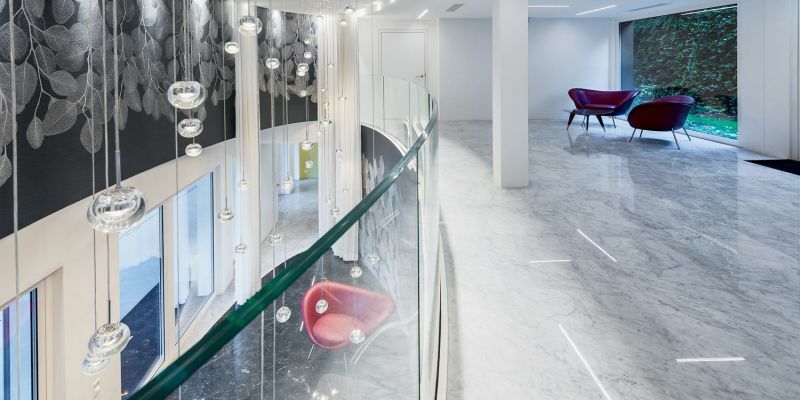 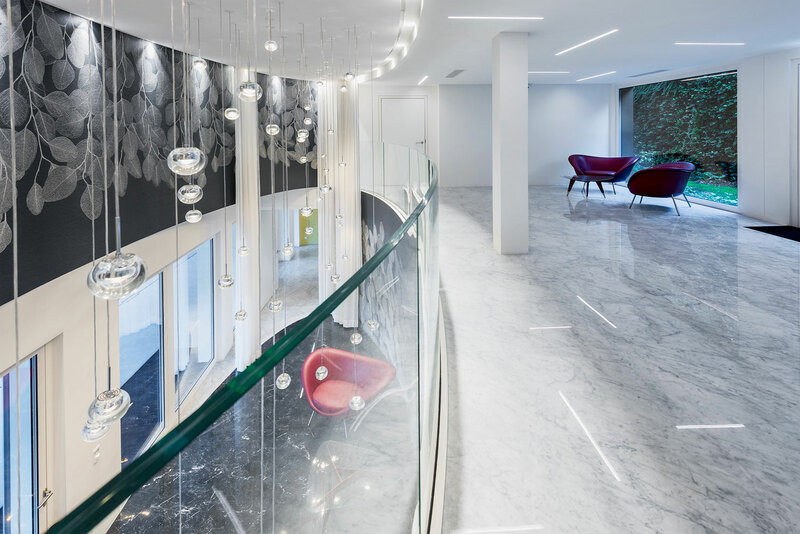 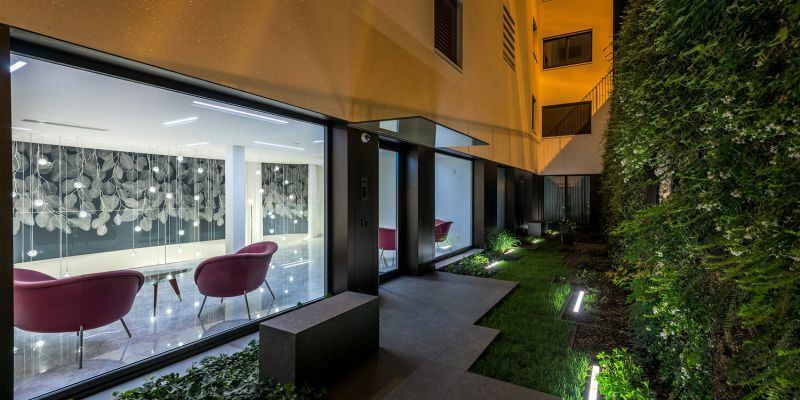 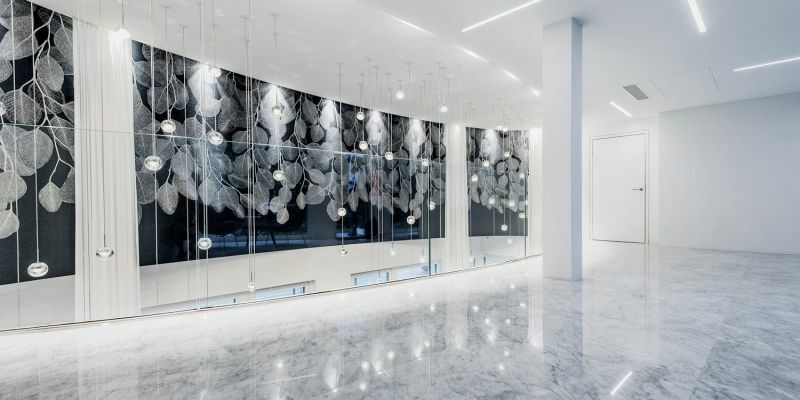 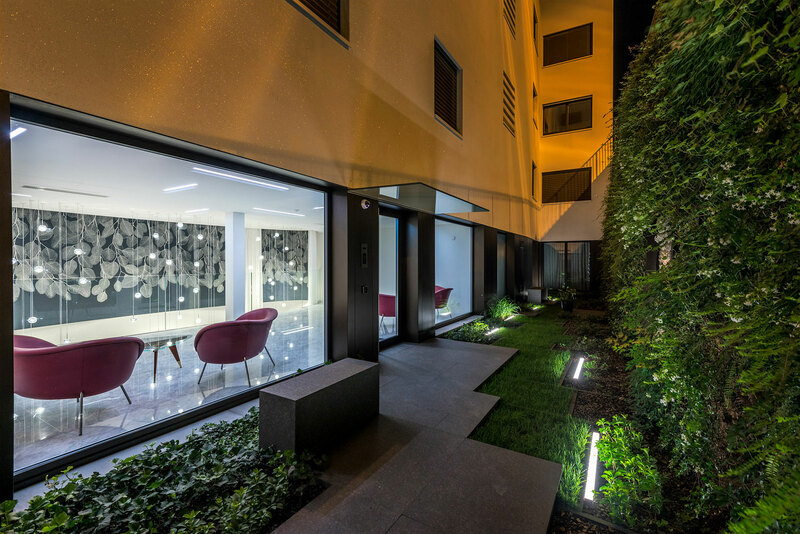 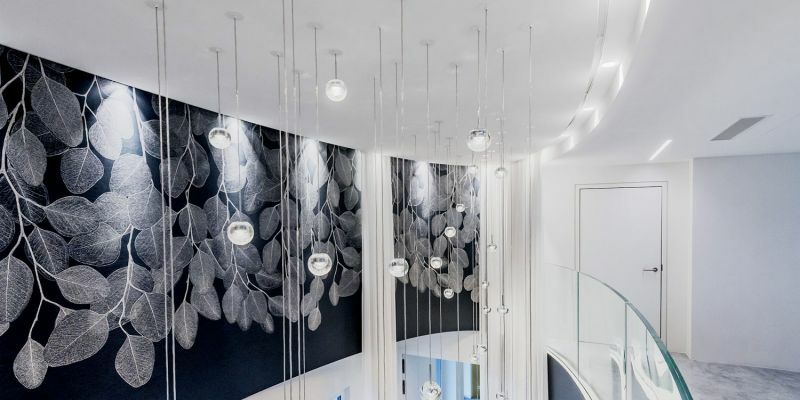 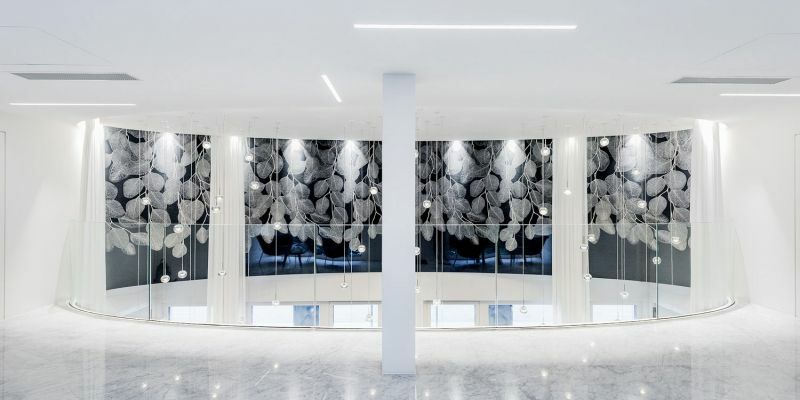 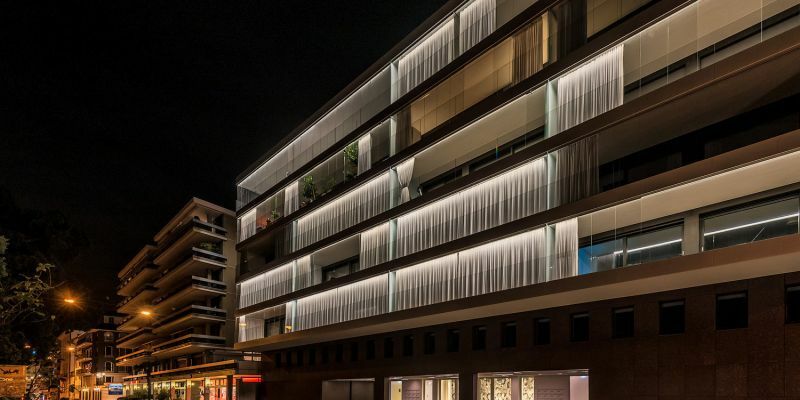 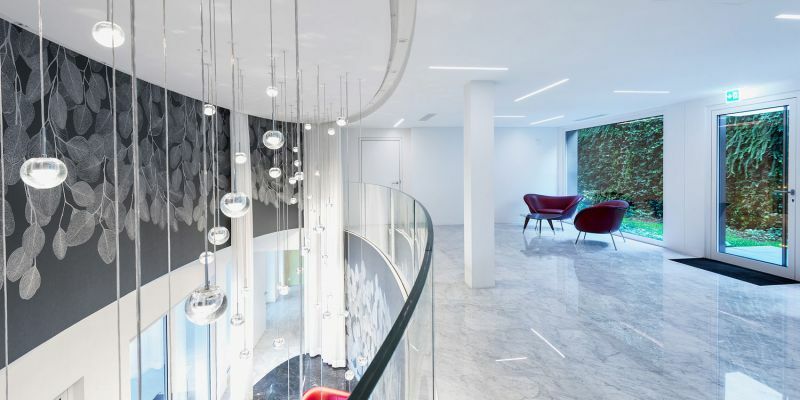 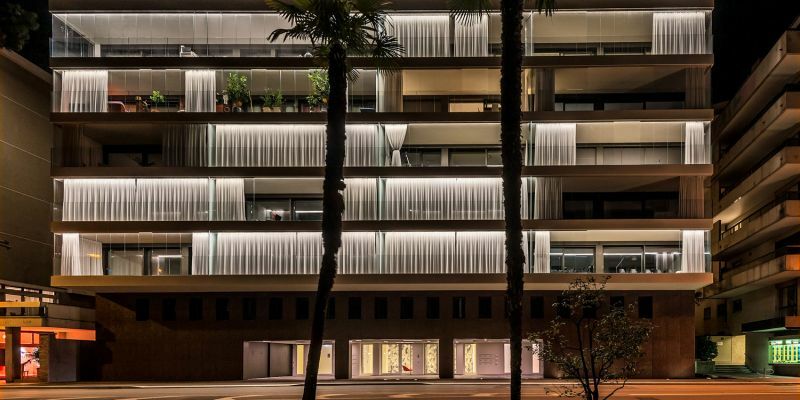 The main facade has been treated with the purpose of attributing a certain harmony and coherence to the lighting of all the balconies, leaving the possibility to customize the place with decorative lamps, as desired. 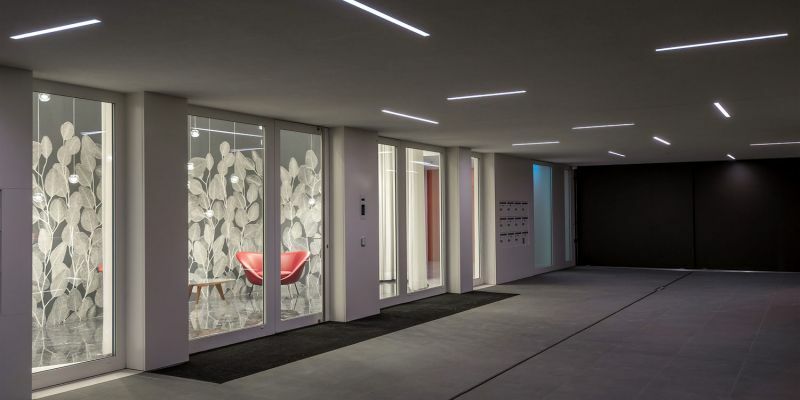 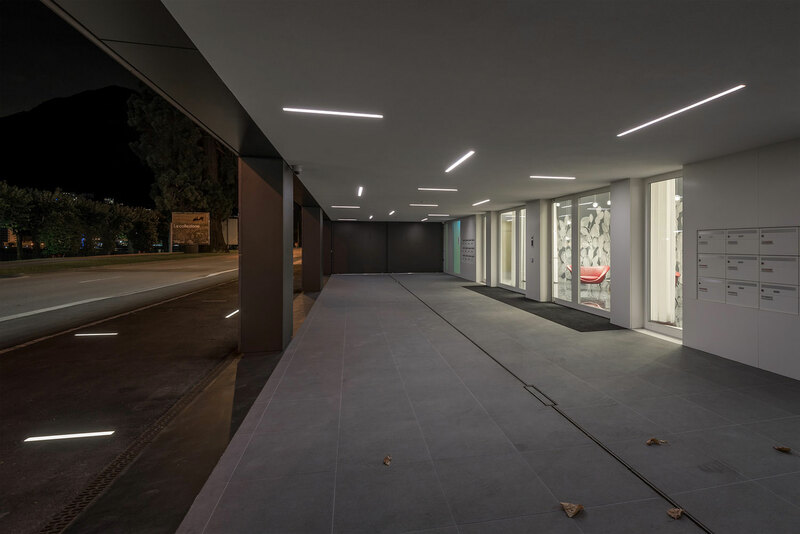 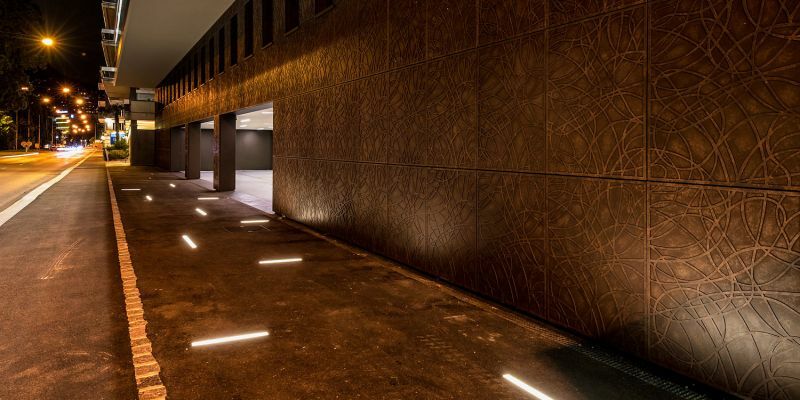 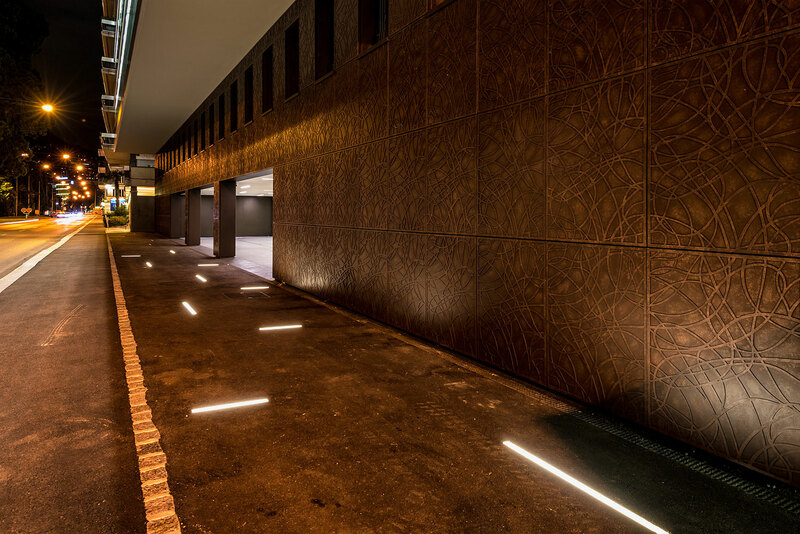 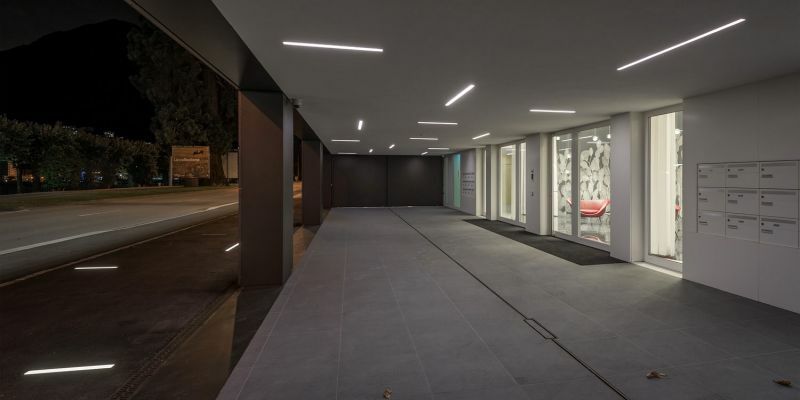 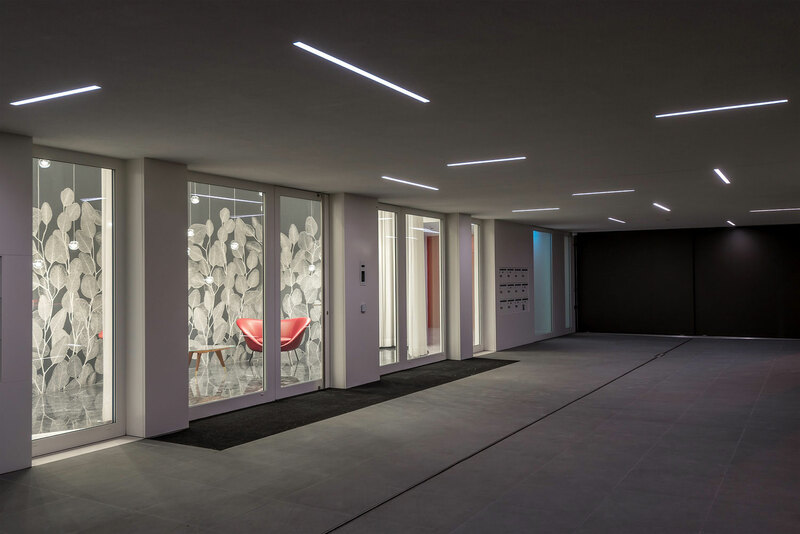 Among the indoor spaces that were interested by our lighting intervention, the entrance hall deserves special consideration since it partly keeps the luminous pattern of random lines that can be found in the external portico, and, on the other hand, surprises and welcomes residents and visitors with a learned play of lights and reflections made possible by the luminous installation placed inside the hall.